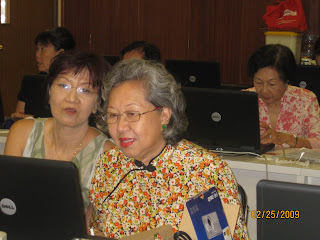 I am a cyber guide volunteer at Singapore Council of Women Organisation (SCWO) IT HUB since 2000. 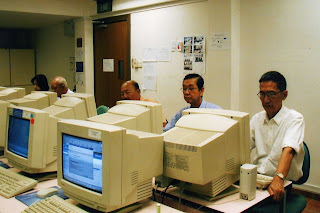 The IT Hub was set up and managed by volunteers. 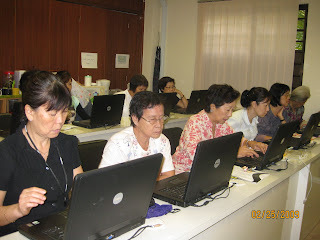 It trains housewives, retirees and retrenched workers to become IT literate. Membership is opened to the public at a nominal annual fee. The classes are from Monday to Saturday. The original group of volunteers was about twenty with as many men and women. Since then, about two third of the volunteers had left. We recruited new volunteers but almost all are ladies. 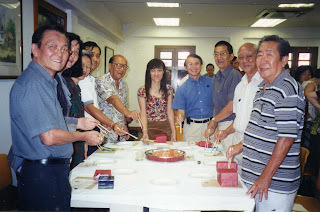 Chinese New Year gathering for 'loh hei'. This is my class. I volunteer my service on a Wednesday only. I have 2 helpers to assist me. 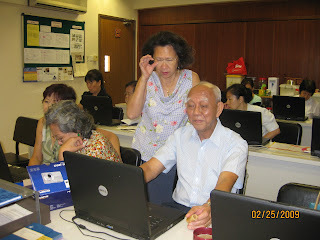 As shown in the above pictures most of the learners were senior citizens. 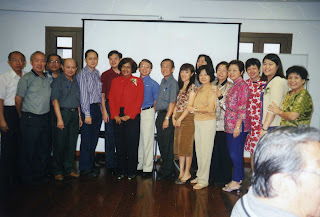 They came not only to learn new skill but also to socialise. 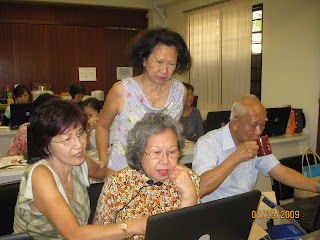 Internet surfing is good for the elderly as it stimulates their minds. When we first started there were many gentlemen in my class. Today, only a hand full is left. What has happened to the men? Last month I chatted with a senior citizen (younger than me) in a bus. He was not IT literate, so I encouraged him to come to my class. He agreed as the IT Hub was near his destination (temple) at Waterloo Street. 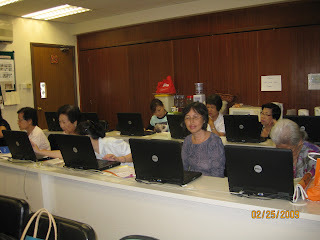 By then, the class had already started by my two helpers. I opened the class room door and ushered him in. When he saw the members were all ladies, he turned back and bolted. I could not believe my eyes. Why? WHY? I'm as curious as you to find out just WHY indeed! It's perplexing and strange, at least to you and me. Nevertheless, keep up the spirit Philip! Those whom you have guided will appreciate your effort very much. 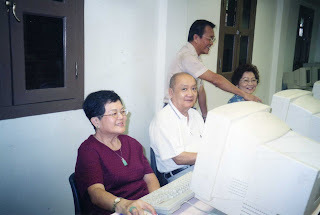 I would have done the same thing in a room with all ladies...shy lah!